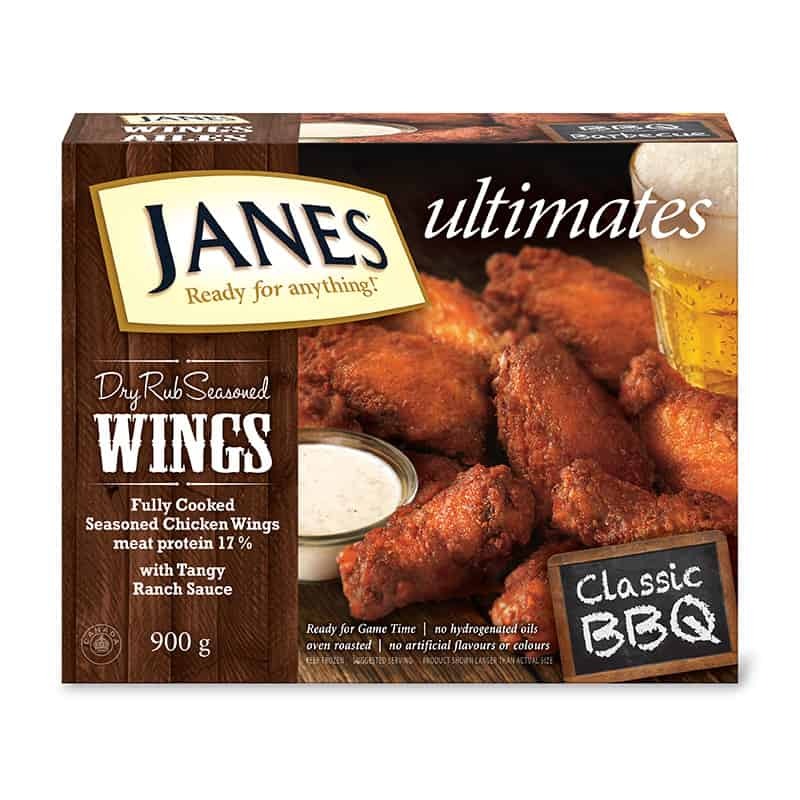 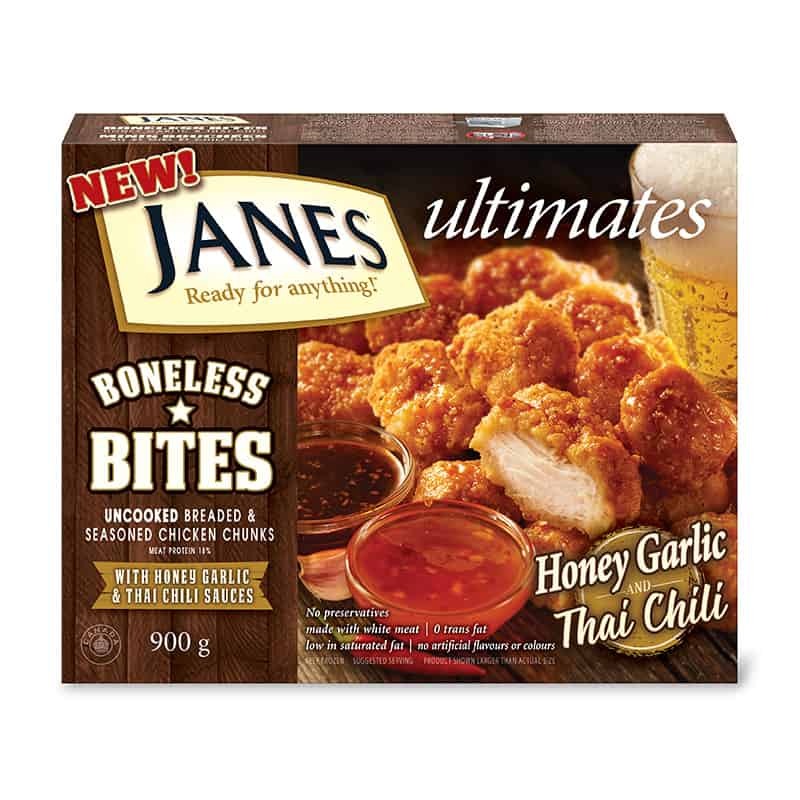 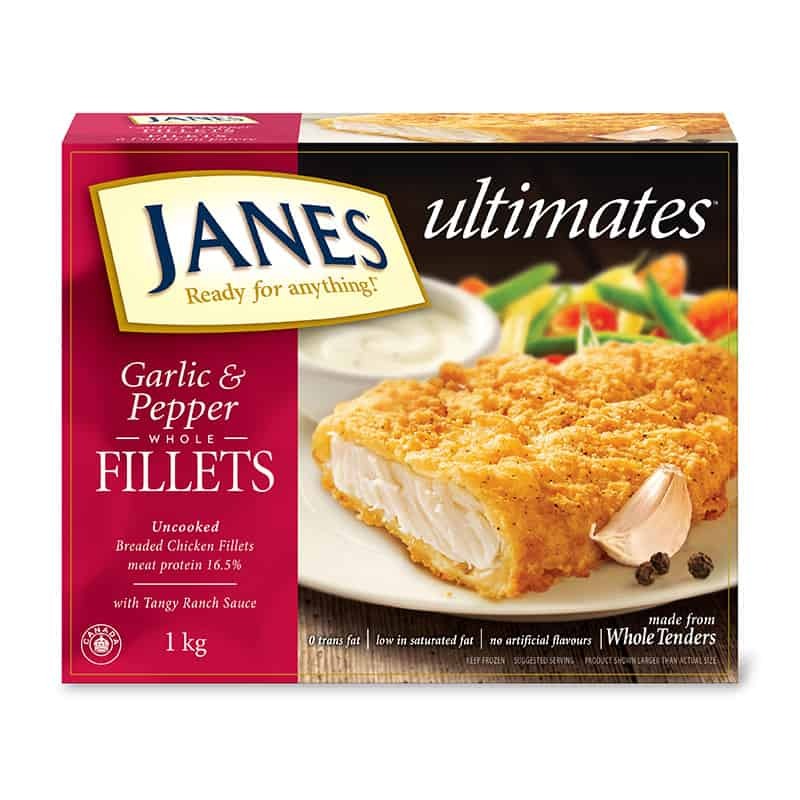 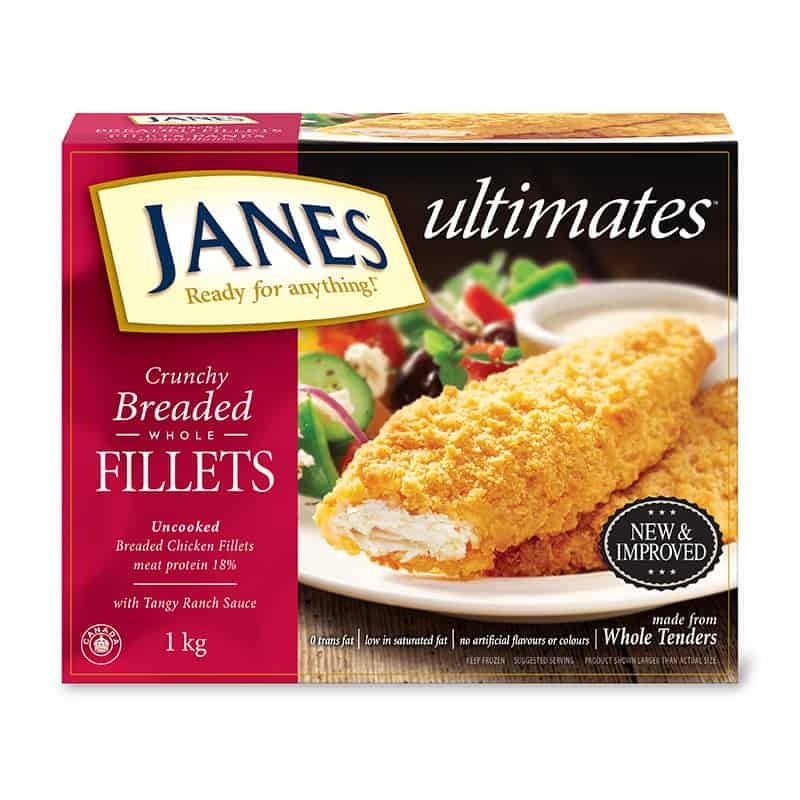 ultimates Breaded Cracked Black Pepper Chicken Fillets - Janes® Ready for Anything! 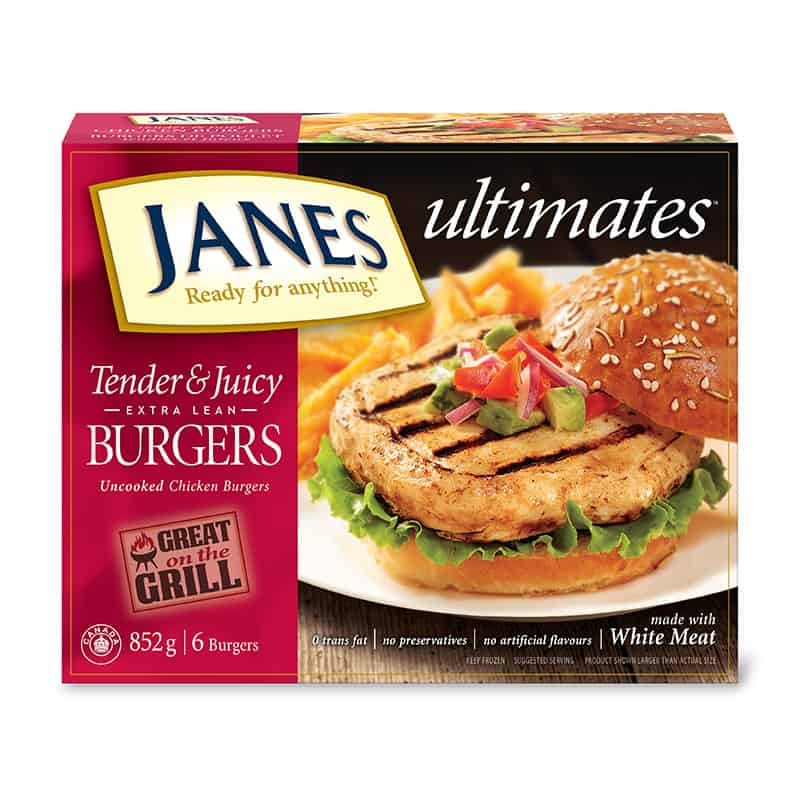 Satisfying crunch on the outside, plump and juicy on the inside. 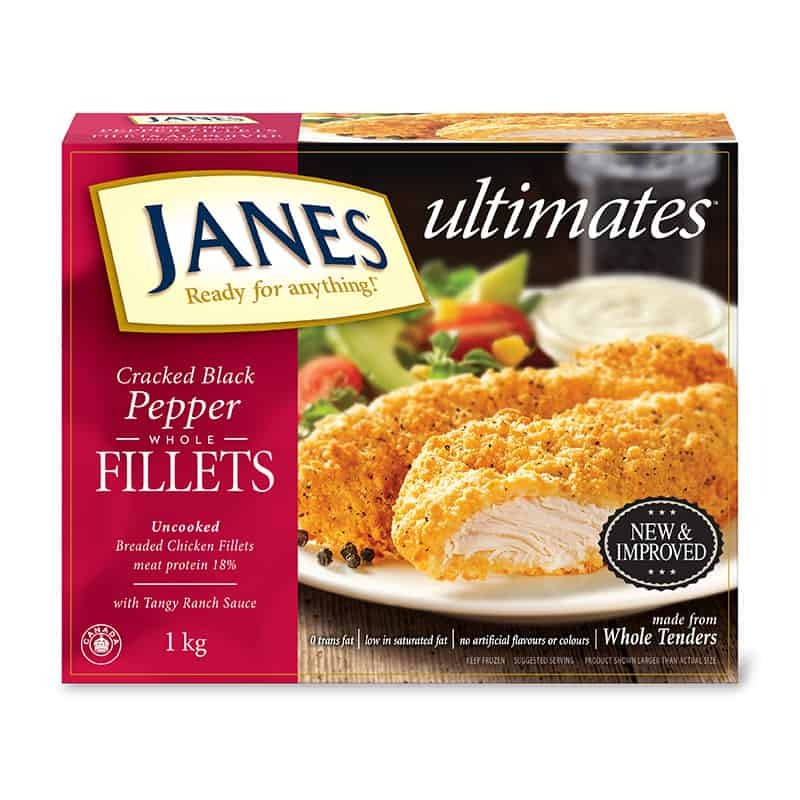 Our ultimates Cracked Black Pepper Chicken Fillets are made with whole chicken tenders with and a special flavour few families can resist. 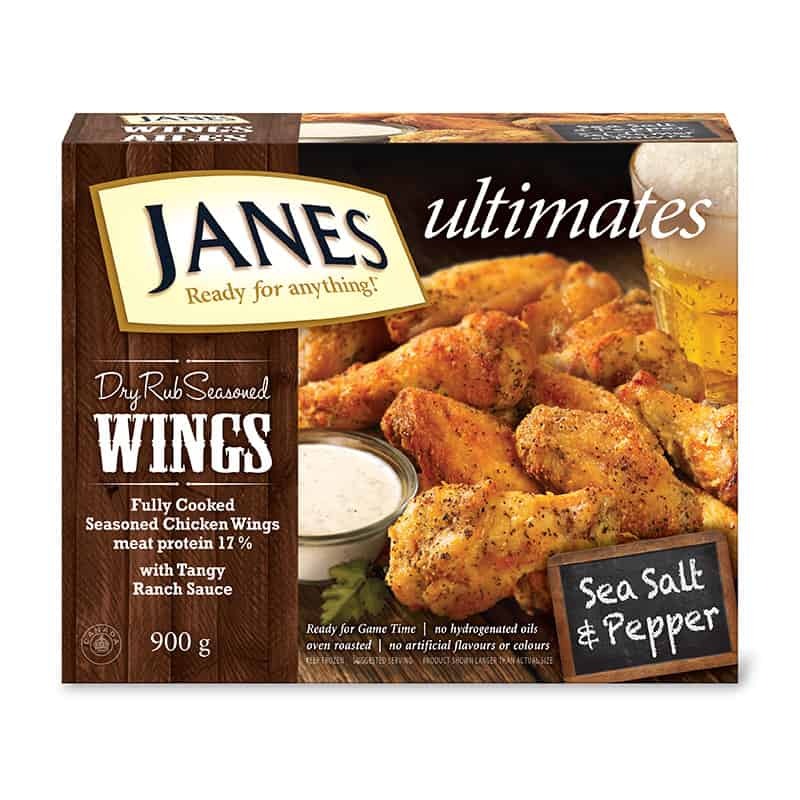 Toss them in the oven for a quick restaurant-quality meal. 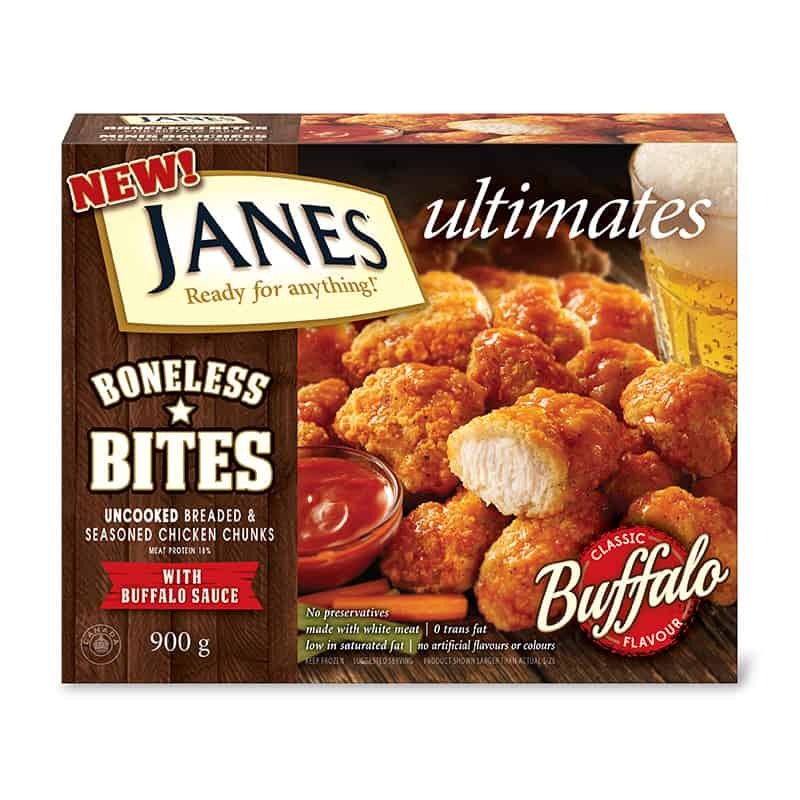 Includes our Tangy Ranch sauce that’s perfect for dipping! 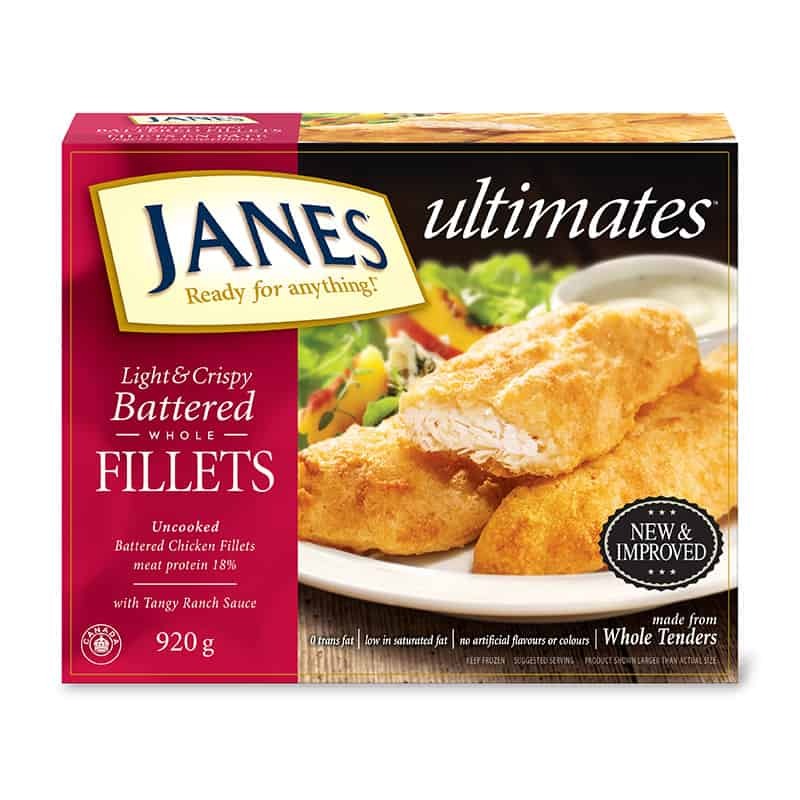 Chicken Breast, Water, Toasted Wheat Crumbs, Canola Oil, Modified Corn Starch, Wheat Flour, Yellow Corn Flour, Salt, Defatted Soy Flour, Palm Oil, Shortening, Baking Powder, Sugar, Guar Gum, Garlic Extract, Spices, Black Pepper. 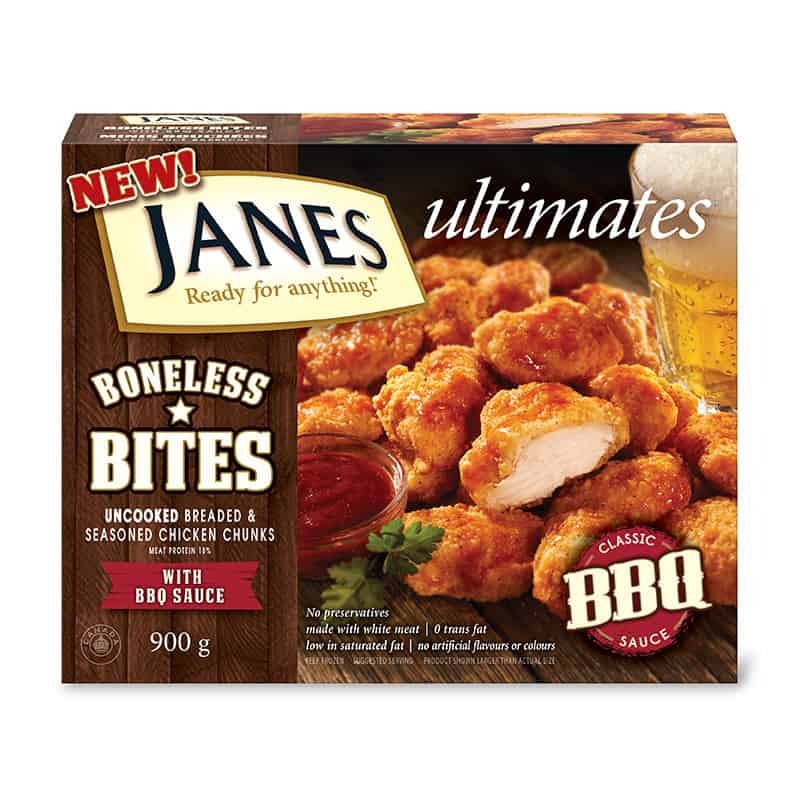 May contain eggs.